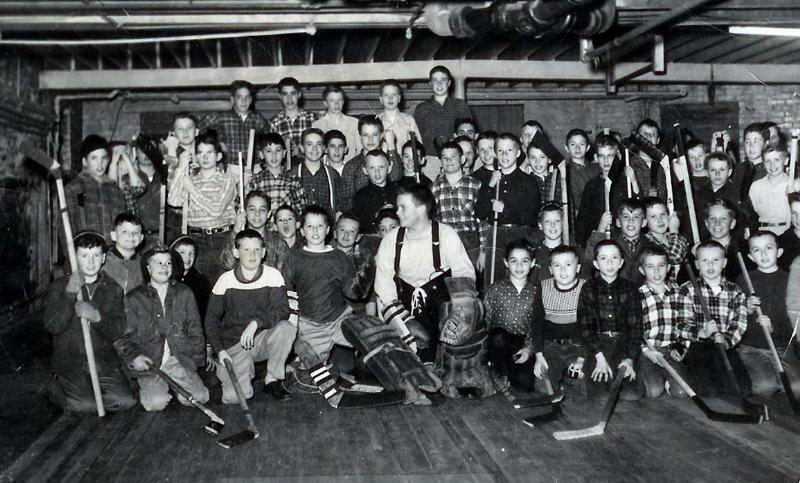 What is now known as Marblehead Youth Hockey Association was formed in 1958 by Bud Orne and Collie Williams. Bud and Collie took a group of interested kids and used the bowling alley at the old YMCA on Pleasant Street and did just stick work. There was no ice the first season - just the bowling alley. Prior to this, Marblehead kids who wanted to play hockey had to play in programs outside of town. The following season, 1959-1960, Bud and Collie got a little ice at the only rink around, the old Lynn Arena. There were a few practices on the ice but still mainly on-land. They couldn't play games or join a league as none of the kids had helmets. They couldn't afford them. The Marblehead Women’s Club, a charitable organization in town who raised money and handed out scholarships for local kids in need, stepped up and bought a dozen helmets for the kids so they could play games. Many of the kids had to share helmets the first couple of years as there weren’t enough! When MYHA was formed, there was no little league, no youth football, and no town basketball league. There was a CYO basketball team but no town leagues for any sport but hockey.